You need not be a South American planter to be a successful stevia grower. While the herb’s native locale may make it appear somewhat exotic, it has proved to be quite adaptable and capable of being cultivated in climate zones as diverse as Florida and southern Canada. True, home-grown stevia may lack the potency of refined white stevia extract; whole stevioside content generally ranges from 81 to 91 percent, as compared to a leaf level of approximately 12 percent. But it can provide you with a quantity of freshly harvested stevia ‘tea leaves’ to augment your supply of commercial stevia sweeteners. Organic gardeners in particular should find stevia an ideal addition to their yield. Though nontoxic, stevia plants have been found to have insect-repelling tendencies. Their very sweetness, in fact, may be a kind of natural defense mechanism against aphids and other bugs that find it not to their taste. Perhaps that’s why crop-devouring grasshoppers have been reported to bypass stevia under cultivation. Then, too, raising stevia yourself, whether in your back yard or on your balcony, is another positive way you can personally (and quite legally) protest the wrongheaded government policies that have for so long deprived the American people of its benefits — a kind of contemporary Victory Garden. It would be difficult, at best, to start a stevia patch from scratch — that is, by planting seeds. Even if you could get them to germinate, results might well prove disappointing, since stevioside levels can vary greatly in plants grown from seed. The recommended method is rather to buy garden-ready ‘starter’ plants, which given stevia’s ‘growing’ popularity, may well be obtainable from a nursery or herbalist in your area — provided you’re willing to scout around a bit. If you’re not, or are unsuccessful in locating any, there are at least three growers of high-quality stevia who will ship you as many baby plants as you’d like. Keep in mind that not all stevia plants are created equal in terms of stevioside content, and, hence, sweetness. It’s therefore a good idea to try to determine if the plants you’re buying have been grown from cuttings whose source was high in stevioside. Because tender young stevia plants are especially sensitive to low temperatures, it’s important that you wait until the danger of frost is past and soil temperatures are well into the 50s and 60s before transplanting them into your garden. Once you begin, it’s best to plant your stevia in rows 20 to 24 inches apart, leaving about 18 inches between plants. Your plants should grow to a height of about 30 inches and a width of 18 to 24 inches. Stevia plants do best in a rich, loamy soil — the same kind in which common garden-variety plants thrive. Since the feeder roots tend to be quite near the surface, it is a good idea to add compost for extra nutrients if the soil in your area is sandy. Besides being sensitive to cold during their developmental stage, the roots can also be adversely affected by excessive levels of moisture. So take care not to overwater them and to make sure the soil in which they are planted drains easily and isn’t soggy or subject to flooding or puddling. Frequent light watering is recommended during the summer months. Adding a layer of compost or your favorite mulch around each stevia plant will help keep the shallow feeder roots from drying out. Stevia plants respond well to fertilizers with a lower nitrogen content than the fertilizer’s phosphoric acid or potash content. Most organic fertilizers would work well, since they release nitrogen slowly. Harvesting should be done as late as possible, since cool autumn temperatures and shorter days tend to intensify the sweetness of the plants as they evolve into a reproductive state. While exposure to frost is still to be avoided, covering the plants during an early frost can give you the benefit of another few weeks’ growth and more sweetness. When the time does come to harvest your stevia, the easiest technique is to cut the branches off with pruning shears before stripping the leaves. As an extra bonus, you might also want to clip off the very tips of the stems and add them to your harvest, as they are apt to contain as much stevioside as do the leaves. If you live in a relatively frost-free climate, your plants may well be able to survive the winter outside, provided you do not cut the branches too short (leaving about 4 inches of stem at the base during pruning). In that case, your most successful harvest will probably come in the second year. Three-year-old plants will not be as productive and, ideally, should be replaced with new cuttings. In harsher climates, however, it might be a good idea to take cuttings that will form the basis for the next year’s crop. Cuttings need to be rooted before planting, using either commercial rooting hormones or a natural base made from willow tree tips, pulverized onto a slurry in your blender. After dipping the cuttings in such a preparation, they should be planted in a rooting medium for two to three weeks, giving the new root system a chance to form. They should then be potted — preferably in 4.5-inch pots — and placed in the sunniest and least drafty part of your home until the following spring. Once all your leaves have been harvested you will need to dry them. This can be accomplished on a screen or net. (For a larger application, an alfalfa or grain drier can be used, but about the only way an average gardener might gain access to such a device is to borrow it from a friendly neighborhood farmer). The drying process is not one that requires excessive heat; more important is good air circulation. On a moderately warm fall day, your stevia crop can be quick dried in the full sun in about 12 hours. (Drying times longer than that will lower the stevioside content of the final product.) A home dehydrator can also be used, although sun drying is the preferred method. Crushing the dried leaves is the final step in releasing stevia’s sweetening power. This can be done either by hand or, for greater effect, in a coffee grinder or in a special blender for herbs. You can also make your own liquid stevia extract by adding a cup of warm water to 1/4 cup of fresh, finely-crushed stevia leaves. This mixture should set for 24 hours and then be refrigerated. Just because you live within the confines of an apartment or condominium doesn’t mean you can’t enjoy the benefits of stevia farming. This versatile plant can be grown either in pots on your balcony or any sunny spot, or else in a hydroponic unit. Stevia plants also do quite well in “container gardens.” A 10″ to 12″ diameter container filled with a lightweight growing mix is an ideal size for each plant. A little mulch on the top will help retain the moisture in the shallow root zone. A properly fertilized hydroponic unit or container garden can provide you with as much stevia as an outdoor garden, if not more. Reprinted from The Stevia Story, copyright 1997 by Donna Gates. Photos courtesy Agriculture Canada. Hello, a flowered stevia planet came to my possessions the other day. It is very langy and has past flowered. Could I take cuttings from these already flowered tips? Or just cut back to the base of the plant and wait until next year? please guide us that can we grow stevia plant in our gamla’s (flowers pots) which are kept in our balcony? if yes, what will be time of plantation and how care is to be done for these plants? From where these plants/seeds can be procured? where temp is 0 to 42 degree centigrade? Just keep the plants in partial shade in summer. Move to full sun and cover with plastic in winter. Need help for marketing and farming of stevia. Please help. Sir I am interesting in farming of stevia please give me information about it. Dear Sir, I’m from Malaysia. I wish buy stevia seeds. Please suggest.Thanks. Dear ,I am doing cultivate stevia in Bangladesh. I interested for sale stevia leafe.per 200gm BDT 800 TK.Pls contract me. Sir I will interested in this plant.I will to investment in their please help me. I am living in Afghanistan. Pls let me know the details to start farming stevia. I have my own land and agricultural professionals. Pls let me know the details to start this business i am the first man in Afghanistan to know about this plant please deal with me for the business i will be your partner in Afghanistan. I am living in Afghanistan. Pls let me know the details to start farming stevia. I have my own land and agricultural professionals. Pls let me know the details to start this business i am the first man to know about this plant please deal with me for the business i will be your partner in Afghanistan. I am in Ghana, and wants to grow stevia and need the seeds. Please, how can you help me to get some. Hi, did you manage to get some ? Thanks for all the info. that I have read above. I am in the process of start a Stevia plantation. I need ifo who can supply me with stevia plants r seedlings ready to plant. I live in Apia, Samoa. Know of any co. in N.Z. o Australia that have the garden ready-starters? Pls let me know. I will appreciate a lot.. Have tried seeds. not too good. I am Zahra from iran. I want to exteact the sweetener . please help and guide me. I am ready to make contract for these . You can make tincture using alcohol. It would have a long shelf life. You may please get Stevia saplings from us, Call+919790255662 / +918870064344. im from Zambia and looking for stevia seedlings or seeds for sale. Pls mail me how many prices per 200gm seeds USD. I am a Bangladeshi, wants to grow plantation of Stevia. pls help me with the information. Ahsan. Hi I like to buy Stevia seed for my plantation in Thailand and China, please advise where can i buy stevia seed. Hi, I don’t think this is the correct place to ask for it. I recommend you better look for in sites in Argentina ( where i live) or Paraguay. Amazon.com or Amazon.ca will sell you Stevia seeds. Love this, I am very interested in growing Stevia for my own use. You may please get Stevia saplings from us, Call+919790255662 / +918870064344. Saplings available in Trichy, India. Im interested to have a stevia farm here in the philippines. Any recommendations on where i can buy good stevia cutttings? I heard that they now grow stevia in Camiguin island in the south. Am not sure if Kuya Kim’s ad on Stevia tea had been harvested in the Philippines. A friend priest also told me that he saw stevia plants in Benguet – that’s in the Cordilleras but he can’t detail the address though. I don’t have much time to go places for further research. If you have the opportunity and resources to go to such places, please update me because I too would like to engage in stevia farming. I plan to order Stevia seeds from a trusted business woman living in the USA. Pero mukhang malaking sugal dahil mahirap daw buhayin ang buto ng stevia. When I tried to order seeds of the Guinness Record acclaimed hottest chili (sili) in the world, e nabuhay ko naman ito dito sa Pinas. Dangan nga lang dahil out of the 32 seeds na ipinadala, 3 lang ang nabuhay. Napakamahal pa (20P per seed). Presyong kaibigan lang yun. Di na niya ako siningil sa freight. Di ko alam kung expired na ang mga iyon o nadaganan sa biaje. All these factors add up to the success or failure of ordering seeds lalo na kung kasing layo ng US ang panggagalingan. hello,rajiv I,ll help u to grow stevia, I have total solution to grow stevia. I want to grow stevia. Can you help me? Hey, My name is Joseph, Am in Rwanda, East Africa, Firstly, I would like to thank u for your commitment and good job u are doing!!! Meanwhile, I would like to make stevia farming! I once saw on TV, that in Rwanda, there is s.one who practice that farming! so, I too , am interested to do so! how can I get assistance? what about the market? please help me to be part of gracious farmers of Stevia!! thanks! It is available in plenty in most of the nurseries in India. You can order seeds from FLipkart or Amazon. Growing Stevia in India is very easy and the plant will stay for long years. From large stevia plant you can propagate more plants from cuttings. From where we can get this plant nursery in punjab DG KHAN Area. I bought 10 plants from Lahore. Nursary Name: More Green Gulberg, Lahore. I am interested in setting up a unit to process stevia leaves to liquid and powder/ tablet form and market the final product .If you have the technology for this process , please let me know the project details alongwith investment and market demand. what is the temperature requirement for stevia? ideal temperature range is 3 degree celcius to 45 degree celcius. But there are ways to take care of this factor, if you belong to land where temperatures exceed 42 degrees. I live in Nigeria, have space cultivate the stevia plant. I am intrested in planting stevia how can it get me in Nigeria, I would be very glad if supply could be arranged for me. Thank you very much. Hi my brother, am in Nigeria too. Did u get the information on how to get stevia seed cos am interested too. My name is David Parku from Ghana West Africa. I’m the CEO of an Agribusiness company. DISPARK GHANA LTD, We have larges farm land available and we want to go into Stevia farming. We have the ideal climate in Ghana and large water body for all kind of irrigation installations.Kindly give me more information about your organisation and let me know if i could get seeds or seedling for at least 200 Acres Stevia farm. Can you also help get market when we produce? We wish to start farm by March 2017. We also a plantation of Moringa with more 2000 trees at the moment. I look forward reading from you soon. I grow stevia in Kenya, and have export market to China. I can consult for you. Also I am involved in Moringa production. Can you provide with some of the seeds o plants here in Ghana? Dear Greek, I grow stevia for home consumption but now want to grow commercially, please help me with market in China. You can send reply on my email directly. Am interested in growing stevia in Zambia. How can I get hold of you? Daniel, have you gotten some seedlings and started the stevia farm? I am also in Ghana, Accra to be precise and want to start stevia farm. Please if there is any information you can share, I will be glad to know. I am living in Sri lanka. Pls let me know the details to start farming stevia. I have my own land and agricultural professionals. Pls let me know the details to start or the agent in sri lanka to deal with. You can get the plants from us. Located in Jaipur. Call 8084511805. We like to plant stevia near ahmedabad city of Gujarat in @ 50 acres of land.how can we get plant saplings in good reasonable prices. Hi! Did you manage to grow stevia in your farm? I would like to buy a few saplings for personal use if you have them for sale. Ahmedabad is where I live currently. am in Zambia, I need the seeds, how can I get it ? what technique can be used by a farmer to produce stevia sp. in large quantities ? well, this is our latest examination question . I’am not really sure fr my answer bc this a general knwledge fr a student like me . the options are stem cutting , direct seeding , tissue culture n genetic engineering . which one is the most accurate ? The best method is to use stem cuttings from the plant that is proven to have higher levels of Steviol glycosides that impart sweetness. Plants grown from seeds would have varying levels of sweetness. My area is extreme climate is stevia can grow? And can I get supplier to my state Arunachal Pradesh in India? You can get the plants from us. Located in Jaipur. Call 8084511805. Can grow in polyhouses. Frost in the open damages the quality and yield. You can get the plants from us. Located in Jaipur. Call 8084511805. You can grow there. Call for details. I would like to grow stevia in Nigeria of Africa continent. Is it possible to get the plant shipped here? If yes what ate the procedure? How many plants do you need? May I know where stevia is grown in Uganda? If so where can it be suitably grown in low lands or highlands such as in the volcanic soils on the slopes of Mt. Elgon. I wan start planting this herb. Its grown allover Uganda…but not commercially. Locally called omujaaja, if you asked a muganda. I want to grow stevia in chennai were can i get seeds or garden-ready ‘starter’ plants, kindly suggest. You may please get Stevia saplings / Garden ready Starter from us, Call+919790255662 / +918870064344. You can get the plants from us. Located in Jaipur. Call 8084511805. Can grow in polyhouses if Frost is there. Frost in the open damages the quality and yield. No frost climate is suitable. Hi im bong landagan from los banos philippines, i heard so much about stevia and im usin in my morning coffee instead of refined sugar. I would like to know the culture practice and hopefully produce it for my own consumption and for those who valued their remaining economic life on earth. I have 1.5 hectares farm and i can devote one half of it for stevia production, Kindly share your expertise. We also want to create employment out oftevia production. I got so many stevia plants and uses some for my coffee,Dried the leaves on dehydrator, I used to be a type 2 diabetic and steavia helps me alot coupled withpowdered malunggay in capsule form. I guess you can buy seeds at amazon or seach the web. I bought mine fully grown at Houston Garden Center for 50 cents per 1 foot high months ago. Now they are flowering dont know yet if seeds will come out well and I can share some to you. Iam native pinoy and Houston based. I would like to know. Would my stevia plant live in my apartment over the winter, should I cut it back and try to regrow??? What are the suitable areas,temperatures? What are the precautionary steps? From where can i get those plants or seeds? Is it better to plant seeds or buy a plant itself? i am interested in stevia farming. And also want to know market to sell stevia, Production cost and all. of course you can grow successfully. It works like a personal sugar factory if you do it right. Good luck. Do share the photos of your plant. Hello , herb stevia to Chqdy you buy ? I grew one Stevia plant and it’s huge already. Not sure it will make it to fall to be harvested. I may try and cut some branches off to make a big patch (container in my case – city dweller) next spring. This is so exciting to grow my own natural sweetener apart from buying honey at the farmer’s market. My comment is years after other’s but THANK YOU for your how to posting! Please send address phone number of availability Stevia seeds in maharashtra. i can supply stevia plants to you at reasonable rates. please i need stevia seeds for my garden, I am in Ghana, is it possible for any of the sources you gave to ship to Ghana? In Vancouver bc,i bought them at Home depot 3/$5.00. How are they doing and how many did you buy, please? I’ll check and see if the NS Home Depot carries the same stock. It will probably be much more reasonable than shipping from Ontario.. Thanks for posting! temperatures below 5 degrees in winter will kill the plants. in that case you may have only 2 or say three cultivation of the plants. However the plants live is 3-4 years max. I need Stevia seeds for planting at Jammu in India. Can anyone help? You can get the plants from us. Located in Jaipur. Call 8084511805. Temperature below 6-7 degrees is not good for this. Call for more details. I am living in Egypt I want to try to plant stavia where can I found the seeds? Do I understand that, even if I harvest my leaves, dry them, blend them, and add warm water, that it will not be nearly as sweet as in the store? Is it sweet *enough* to sweeten things, like tea? I have been grrowing few plants in my backyard , after drying the leaves in sun and just hand crushing it .I have been using the powder , quarter of tea spoon in my morning tea, good enough for two cups. It is tastefully sweet and healthy home product. The plant keeps coming up next season by itself without any extra effort. Hi sir, could you please disclose the source from where you got or I can get planting material? can you suggest me this plants can grow in Hyderabad,India climate, if so any one is growing near by. I will provide you stevia seeds free for your kitchen garden. Can anyone provide pictures of Stevia plants, leaves, flowers, fruits and seeds ? 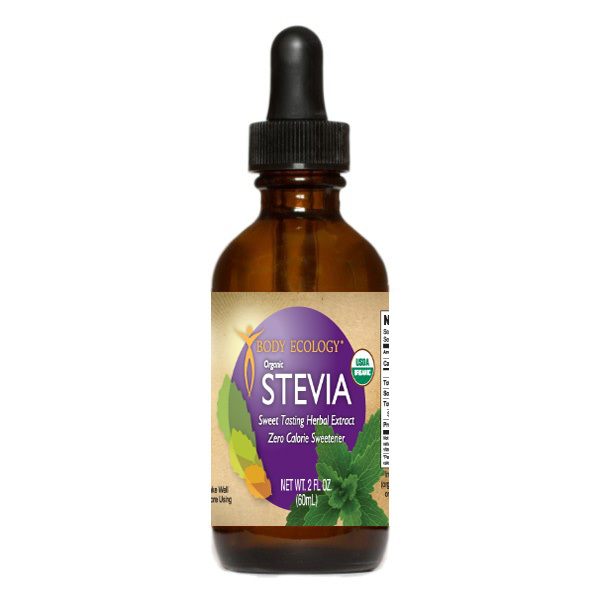 To get pictures of stevia, please type ‘Stevia Images’ on the google. You will get thousands of the same. Very good informative data. Answers probably, all queries in mind ! summer is very hot, ranging high level of temperature between 35-40 deg. Celsius ? You can get the plants from us. Located in Jaipur. Call 8084511805. Yes you can grow. I am living in South Africa, how can I get hold of a stivia plant. ANy gardening centre/nursery should have Stevia plants that you can then propagate via stem cuttings. I routinely buy from Builders warehouse garden centre, Stark Ayres and other places. THey tend to go out of stock over winter but you should start seeing them again now that it’s spring. dear; need stevia seeds for nursury plantig. near Allahabad up. I am in Tanzania -East.Africa, am very interested with stevia, is.it possible to grow it in my place, and how to get seed also how cani sell it? I live between Toowoomba [Top mountain range ] and Brisbane Australia. This summer has been hot for us, [most days over 30 and high humidity ] and I have had my 1st go at growing Stevia. Mine is in a 15 litre plastic bucket, wicking method [google or youtube] bottom 16 cm water reservoir and top 20 cm good garden loam. I fill base once a week, don’t think it ever ran out. I have been using a few leaves at a time but will cut today as about to flower. Will leave 1 head to form seed. Have a go and good luck. Am a farmer in Nigeria. I want to plant stevia in large qantity how can I get the seeds. Stevia is grown in india..? ?Grown Then Plz Support & Guidlines For Stevia Farming,,. I live in Delhi .I got tiny plant from local nursery in Feb.The plant has grown around half a metre.All branches tends to lean towards sun till now.Now mid April temp touching 40c leaves appears to moving away from sunshine.IAm afraid plant may die when temperature will touch 46c. What should I do. I am thinking of keeping plant in partial sunlight.
. We cater to 1000 villages development through our 19 centres across India. Hi im looking to start growing stevia in Australia. How can I get some seedlings. Hi Brad, I just bought a plant from Bunnings, I imagine that all stores would have them at some stage. Hi Brad, I bought mine at the local Sunday market in Toowoomba. Successfully grown in a 15 litre bucket, wicking method. Great success despite our hotter and more humid than usual summer here at Withcott 4352. After reading about others I will be cutting and drying mine except for 1 section as about to flower and seed. have been picking and using by the leaf for months. Thank you for the interesting information about stevia. I know a nursery in Canada that sells the plant, and will be purchasing a small plant for my herb garden this year! I love to experiment with new plants in my garden! I live in Eastern WA state and the name of the nursery in Canada would be appreciated. Do you know the stevioside content? The author of the site has explained perfectly well how to grow, fertilise and dry/cure stevia. My advice to all you potential growers in India, Uganda, Nigeria, Ethiopia, Philippines, etc is GET ON WITH IT. Find a source of plants (google?) and do it. Don’t expect the author of this site to call your private numbers from the United States because it is never going to happen and why should they? Yes I would like to plant estevia in Texas US. Can you please help me with starting from seeds or branches. Thank you so much in advanced. I am in kuppam in chittoor district. please give full details of stevia cultivation. My native place is Kuppam in chittoor district. please give full details of stevia cultivation. Kindly assist in providing the stevia seeds here in nigeria. i am very much interested in the plant. my email is here for any good response. Have you got seeds ?..are planing to grow this plant in which area of sri lanka ? I require some seeds of stevia to plant in my pot. Whether possible ? If Yes, then how and which weather. Hi…can u pls assist me for kitchen garden?? Can it be cultivated in Nigeria? Hello Jame, Were you able to get the Stevia seeds? If yes, kindly educate on how I can get it as well. Stevia now here in Uganda. Planting materials/seedlings will be available in mid September 2015. Those interested in farming it will be invited for a training. i would be seriously interested in this training please do let me know full detail. iam interested in the training of stevia please kindly let know the details so that I can prepare for traveling to Uganda.iiam in Nigeria. Have you got the Stevia materials/seedlings yet? You mentioned mid September 2015. Have you already started training for those who would like to farm Stevia? I have 29 acre own land. i am interested in stevia farming.how i will get its seeds or branches initially.i have already organic farming with infrastures. how can i get the complete idea about this crop,means period of harvesting. Hello all if you got to the bottom of this page. I live in Andalucía, southern Spain. Stevia grows perfectly well here. We have winter temperatures of about 12ºC and summer temperatures up to 40ºC. I bought a stevia plant in my local garden centre/nursery. I took cuttings in the normal way (also listed in the body of the text). My advice to all you potential growers in India, Philippines, etc is GET ON WITH IT. Find a source of plants (google?) and do it. Don’t expect the author of this site to call your private numbers from the United States because it is never going to happen and why should they? I live ijn Fuengirola, Andalucia. Bought plant at AKI and it loves my terrace. No frost here., Getting ready for flowers to bloom. Wonder how the flowers affect strength and The powder is green color. Made a tencture- clear color. using leaves. Next time will use the powder. Lot of leaves- little results. Enough for me! Hi … I live in the Waikato, North Island of New Zealand. Would Stevia grow well here ? I have 10 small tea farmers growers society at gumbedhara near kalimpong , Darjeeling and altitude is 6500 ft. from sea level we would like to cultivate stevia in between tea plants as a value added tea purpose. kindly provide me in details for cultivation. You can get the plants from us. Located in Jaipur. Call 8084511805. Will be a problem in case of heavy rainfall be low temperature. i am interested in stevia farming in kenya, kiambu county, Any information one doing it around? i would like to know what it entails kindly. I have land on the outskirts of Pune , Pune-Mumbai Highway as well as in Mangalore and am looking to cultivate stevia. Can I get a few seedlings to start of with. I am very happy to see your activities about stevia crops and would like to call you to come and invest in Rwanda because we have available land suitable for stevia cultivation. in addition to that we have suitable and strong infrastructure for irrigation. I am interested in stevia for planting in Lebanon, how I get the seedlings? I am interested in stevia for planting in Nigeria, how I get the seedlings? I wanted to start the steavea farminf in the hills of Sikkim. The altitude is between 1000 meter to 2500 meter above the sea level. The area is sunny and no frost in winter. the winter temperature is minimum 5 to 10 degree centigrade. You can get the plants from us. Located in Jaipur. Call 8084511805. You can grow there. I am interested for stevia cultivation in distt- morena madhyapradesh. I want to know feasibility of cultivation of stevia in my region because in the months of may and June temperature reaches to 46degree centigrade and warm wind (i.e Loo) flows in my region. So kindly help the heedful. Am a lover of natural alternativess and I would love to get seeds for stevia hear in Uganda Kampala. A Ugandan entrepreneur has embarked on production of the much sought after Stevia plant in Uganda. As seen from her blog above, the product will be ready soon and details will be issued by September to interested parties. Im also interested in Stevie plantation i need complete guidelines please mail me details. The land here is not utilize fully yet. I heard about one company grown it here,in CAMBODIA. But don’t know the progress yet. Land here is not too expensive. And we can utilize land. My request could be a bit of a stretch as i reside in Phuket ,Thailand. I am interested in purchasing/growing stevia plants and would appreciate your assistance in my quest. i just bought a healthy looking stevia plant today at home depot for 6 dollars broke off a leaf and tasted it before i bought it. Hi Lucy, am Joseph from Murang’a did you succeed in stevia I need seedlings too. Joseph,hi?i have tha stevia now. Joseph,hi?i havefew stevia plants now. I heard of this Stevia plant from a friend. How are the markets – local and international? Lucy, how is the plat so far? have you got the markets already. I m very interested please guide me accordingly…. I would like to know that the stevia can be grown in.Jodhpur, Rajasthan INDIA. please let me know how I can get this plant in Jodhpur. What is the water requirements? Jodhpur is a highly hottest area in india. Is it affects the stevia plants??? Temperatures above 44 degree Celsius might damage stevia crops. But if you are very interested in stevia farming then you can employ poly-house to control temperatures for cultivation effort. For further help call on 9970044228. Please provide me the root stock (slips ) or seeds suppliers address in and around Bangalore. Hi, We are from Kutch, Gujarat. Is it possible to grow Stevia in that region? We are interested and good area of plantation. My dear,Stevia seed ,you need some time over 200 seed or over to have a plant.If the Stevia seeds have more then 90 days,don’t grow. The best are to buy plants and make cuts. Check for your Stevia seeds are black or their are garbage. call on 9970044228. I am from Maharashtra. We provide stevia plant with buyback agreement. sir can i ask you something?? what are the factors that affects the steviol glycoside content of stevia?? or its sweetener content??? thanks. Hi.I’m hemalatha mathialagan.I’m from Malaysia.I’m very interested on stevia.good natural plantatio.is it possible to grow stevia in malaysia.we are interested and good area of plantation. We also have green leaf thulasi and dark green leaf thulasi here.please can you give full information about this plant.it will very usefull to me.please let me know how I can get this plant in Malaysia.thank you. yes it is possible in any Tropical climate without waterlogging problem. from which area in gujarat?? Gujarat is perfect.Stevia grow like a grass in there. the good quality planting material of Stevia is available? Can you suggest names of some stevia farms or nurseries in Gujarat? That would be so helpful. I am Saiprasad Chitnis.I am interested in stevia cultivation.I need detail information of stevia farming.Stevia is good nutritional food.We have to give up eating suger. Hi Thomas, you need to Propagate Tissue Cultured Plant. I live in Bangalore, India. I am interested in Stevia cultivation. Please help me & send me info to my Mail ID. I would like to buy seedlings which can fit a 50’x100′ plot. how many do i need and what is your price? My name is Alex Yakaumo and I have a healtshop in Suriname, in South America. I like to have info/wholesale prices about stevia dry leaves, powder, seeds and seedlings. If the prices are interesting we can look what the shippingcost will be. I’m looking forward to you answer. Can you export starter plats to Sudan? Thank you for the information about stevia plant.l would like to start my own stevia garden.how would I get the seedlings? i am living at Chandigarh, India. I want to grow this very useful plant at home, i have a small garden. which is the month to grow it and which nursery in chandigarh sells this plant? we are certified organic grower ( cultivation) & trading company located in Indore ( India). We provide consultation , seeds , plants for stevia , Moringa , Guava , lemon & other crops . We also take up turn key projects to develop land for various orchard , crops , herbs (ginger , turmeric etc) . Please visit & like our Facebook page ”green heaven organics” for on going projects . soil medium for this purpose in consultation with growers in India and Peru. 30,000 plants will be required per acre. Where can i buy Stevia seed or plant. kindly I need physical and cellphone conduct to a stevia plantation farmer in Africa Kenya western province. We provide seeds , consultation for stevia & other crops . I need Stevia seeds for planting in African. Can anyone help? Where can i visit the Stevia plantation. I’m Julius OPINDI from Africa Kenya western province can stevia grow here?Is there a farmer I can consult for the plantation stages? Am from tharaka-meru-kenya, where can i get stevia cuttings. Very much interested. Can I grow STEVIA in Rajkot and Mehasana region? I am living hot areas of Pakistan. Can I grow Stevia here? Where can I get its young plant for cultivation? Can I get it in Pakistan? Can I have any e_mail address of some supplier of Stevia plant? Please reply me. I have read that it is possible to grow stevia in pots. Please let me know the requirements for that and how much quantity of stevia can I grow in one pot. hi I want to grow stevia at house by hydroponics and organic manuar or with vermin compost will you help me to this? what is details process? i want to know can we cultivate stevia in kashmir region. I am South African and I am interested in growing Stevia Hydrophonically. Is there anybody that successfully done this on a large scale. My stevia is blooming. Is this ok or do I need to prune the blossoms off? Take the seeds and reproduce. Gift someone, the mature seeds. They will appreciate. Great article. I’m growing a few plants from seed in the UK. Germination rate was quite poor and they where very slow to get going. Just wondering if just adding a fresh leaf to a cup of tea would make the tea sweeter. Is it neccessary to dry the leaves first? Hi. How such would it be to send stevia starter plants to sudan? I have added fresh leaves to hot water to make tea with other fresh herb leaves in it as well. It worked great. The longer it steeped, the sweeter it got. You don’t have to dry them first. Experiment to figure out how many to add for your taste. Drying them is for the purpose of storage. It’s not necessary, just pluck em fresh! Thanks for the stevia growing info – much appreciated! I am new at growing, drying, and harvesting stevia. I love it! I want to know please, how mw much fresh crushed stevia leaf does it take to equal one teaspoon of sugar?? intheraw.com has a conversion chart. 1 teaspoon of stevia powder equals 1 teaspoon of sugar. I am Gurudatta from Nepal. I am also looking to cultivate the Stevia Plant in my farm house, is it possible to grow in the temperature between 20 – 40 deg celcus. Would you provide me rate of per plant in you place? The rate varies. On an average say INR 5.00 per Plant depending upon the variety. Can I get your no. Gurudatta ji? STEVIA can be grown easily in Nepal. We are talking alot about Stevia in Denmark these days after it where approved by EU last year. Dear Sirs, I’d like to plant stevia, and build a processing factory in central China. Could you help provide seeds and relative processing technology & equipment? We got very big market here in China. Maybe we can cooperate on the factory operating? Looking forward to your reply soon! Faithfully yours. Heywood Dong. July 9th, 2012. Bought stevia seed … 8 in packet for about $3.50 … four grew VERY well … so far. Gave 3 to diabetic friends for their use. Plan to use mine in tea, etc. Wonder how to use it in baking? We live in Central Pennsylvania and plan to keep mine as house plant. Saw plants offered in Gurney seed catalogue, really costly. That’s why I decided to try seed. I haven’t tried it yet for baking but literature indicates it will not loose its’ sweetening power. One thing to remember is that sugar has other baking properties, such as browning, structure, spread, etc. It might be best to use it with reduced sugar in recipes if the sugarless product in not successful. Just bought 3 stevia plants and I live in Philadelphia. When Fall comes, must I harvest? Can I keep them in containers and bring them inside? I bought pack of seeds,planted in small containers ,10 seeds each. I had 6 germinate,and now have 4 plants.Used soilless organic soil. Two are still small,the others finally taking off. Getting ready to plant in my regular garden. I am from the philippines and want to grow stevia. will it grow in rice land? where can i get the plant? would like to know how growand market the same? are there seminars available locally? hi 🙂 i am from the philippines and we found out that my mother has symptoms of diabetes. we would like to introduce her to the natural way of treating her disease at the same time provide her with foods that are safe for her. i heard about stevia and would want to learn more about it. i love gardening and i would love to plant something that can benefit my family’s good health. i hope to know if i can grow it in a climate such as the philippines and where i can get the seeds from. thank you for this space and i look forward to hear from you the soonest. I have lost weight also. I have been able to purchase 3 plants from Dobies in England, thankyou for your growing tips. The plants must be common in the US by now, I’m in Canada and I just bought one at Lowes yesterday. So if Lowes has it lots of other US stores must have it too. Hi! am Linda from the Philippines. I like this plant and i want to cultivate this for my own consumption. I wish i could have a seed or a young plant to start my own garden. Thank you and more blessings to come. GOD BLESS.. If we have truly have finally found a sweetener that is natural, safe, and 0 calorie, I will be so happy! I hope, HOPE, that something doesn’t come out later on about it being bad for us. So far, I love it! Rebecca, Stevia is NOT an artificial sweetener; it is a PLANT. It is not a chemically created artificial sweetener created in a lab. The native Indians of Paraguay have been using it for centuries! And if the government were to try to vilify it, it’s only because they wouldn’t be making money from it. You do realize that big Pharma WANT to keep us sick, don’t you? It means more prescriptions bought, thus, more money for them! I found here Mr. Alam’s suggestions are too much helpful for stevia cultivation. Other suggestions are not complete. If Mr. Alam write more on processing in industry base, that will be more helpful for those peoples who are asking here about big agricultivation farm. are there stevia plants available in Cambodia? It is a wonderful thing to see so many people getting interested into Stevia growth and research. As Chef/Research Gardeners, we have just done our first year research into the growth and full utilization of this plant. We had one plant that we quickly split into to two, as simply stated above. We fully utilized the leaves and some of the stems throughout the year for alternative sweetener. In our greenhouse, we were able to allow the two plants to grow until late October in the the Midwest growing regions. That was about almost eight months of successful growth from two substantial plants. We harvested the seeds and wish to see what activity we can gain from that seed harvest. If it is less than 10% than we will document and take note of what works, and what does not work in the subject environments. There about 2,000 seeds from the two small plants so we have plenty of culture test with modules to work with. To those of you overseas, we will inquire to make sure that you will be provided with the same research modules and test subjects to work with as well. May I please have some seed ? I came to this website to learn how to harvest my stevia plants. I am growing 3 plants, in a hydroponic garden (working on a blogspot hydroponically yours) The weather here in FL has just brought us a few cool days, but it will heat up again. I will cut the plants back to 4-5 inches to get another growing season, but right now they are no where near big enough, although it seems like they are trying to flower. I did not see any mention of the flowers. Please email me where can i buy stevia plant here in Vancouver, BC. Thanks asap really appreciated.. Very intresting information, I will try to find in LOWE’S, if I will get it I will plant them in the planter and see the results. Thanks. Hey good idea. I bought a Stevia plant from Lowe this summer and added it to my Topsy Turvy… It was damaged during transplantation to the Topsy Turvy due to the entry ports (which I later removed) but the Stevia has begun to regrow nicely and I plan to begin harvesting and purchase another plant of it in a few weeks… I live in upland Ca and I find the weather to be just right… Cant wait to try hand at granulation… Best of luck to you! I’m about to try an autumn stevia crop in middle Tennessee. Does anyone know what the best companion plant is for stevia? Does anyone know what the optimum soil ph should be for maximum sweetness? Have you girls over in NC noticed a sweeter leaf after a light frost and do you know the soil ph/lime content where they are planted? Can you use a food dehydrator to dry Stevia? The article expressly says you can, but that they prefer to sun dry their leaves. Another article about using Stevia is here. Bacisically it’s a steeped alcohol extract that can be kept in the fridge. http://www.ehow.com/how_2083187_make-stevia-extract.html. Hi, I have 6 stevia plants. Some are 3′ tall and not very bushy. In the last week I have had two that just wilt over, overnite. I cut them off and still hung them upside down to dry. Two questions for someone, will the leaves still be good even though they wilted first and why did they wilt? I live in Wisconsin and all the plants have been treated the same. One of the plants that wilted had the main stalk wilt but one of the branches near the dirt did not. I don’t want to lose the other 4 plants please help. Planted Stevia about 4 weeks ago in the Snow belt of Erie County, Pennsylvania. My word what a crop I’ve got! Am actually bruising the leaves and a mint leaf for my coffee. I have a sweet tooth but with the mint, 2 to 3 leaves make a wonderful wake up! Will be trying the extract instructions this fall. With all that have cropped up, will be sharing with my very large family and friends. Thanks for all the info in this site! I’m in SE Pennsylvania and have just heard that the plants are available…but where? And are there different “flavors” of stevia? – Do not dry the leaves under sun make a shade & dry under the Sade. – you can also dry under the tree or in the cooling air. – The temperature would be 25 to 40 degree Celsius. – when you pack the dry leaves air would be pass inside either moisture would come. I grew some last year and harvested by cutting in the fall and hanging the plants to dry. Once they were dry I stripped the leaves and use them whole in tea – 3 leaves is good for one large cup imho. They stay on the bottom or if they float I remove them. Easy as pie and not the hassle of grinding with a mortar and pestle. I am growing more this year – what a great easy and healthy sweetener. I might try grinding the stems in my coffee grinder this year and see what that’s like. I had just planted a stevia plant yesturday. I was thinking about using in homebrewed ice tea. Adding a few stevia leaves with the tea with the boiling water. I had a similar thought since I drink sugared tea and soda pop and kool-aid like a fish. I have 3 stevia plants and am going to try the alcohol reduction first I think. I grow the stevia for personal use and only have 3 plants. Everyone that we show it to is amazed by it. Can’t wait to harvest and see how it is. When I first got it the leaves were sweet tasting. Now they are green and slighty bitter tasting is this normal and will they be sweet when I dry them ? I’m growing stevia in a large container on the deck on the front of my house. It has been thriving there for 6-weeks, and it is proving to be an attractive specimen plant. I purchased the plants at Lowes. I’m skeptical about the practacality of using as a sugar substitute, but we shall see . . . It’s good to know that stevia can be readily propagated from cuttings. Hopefully I can keep it alive indoors through the frigid Nebraska winter and have it back out on the deck with my other container plants the following spring. Hint on sweetening…less is better. Too much and whatever you are eating/drinking will be bitter as all get out. we LOVE stevia! We use it daily. We find it very healthy and safe, and I am sure that the sugar industry was / is supressing its virtues. they will not keep this a secret, it will be known. THANKS. I bought a few plants last year and somehow managed to keep them alive through winter. I live in NC. The plants are healthy and doing good again this year. I am growing them for my personal use. I have plants growing up in the central border county. Do you think it will survive the winter up there? Did you protect it with mulch and/or sheeting during the frosts? I’d love to keep the plant if I could. 🙂 thanks! I live in north central Rockingham County (NC), about 15 miles south of the VA border. We had a snowy, very cold winter last year. This is the 3rd year for my stevia, which is now about 5′ tall. It grows in full sun. I’ve basically neglected it, except to give it water occasionaly, but it has flourished. I will harvest it, dry it and grind it. Does anyone know how to use it as a sugar substitute in baking? i have i small baby stevia on my clay pot.. just simply boil the leaves and use the water as a sugar substitute in baking. I purchased 3 2″pots of Stevia at the local farmers market one month ago. They are planted in a Horse trough. In just one month they have filled the trough. The easiet thing to grow that we have ever planted here in dry So Calif.Came to the site to learn about processing for use in cooking.Thank you so much for the information.Also surprised that peoples from all across the Globe are interested in growing it commercially. Good luck to everyone. Hi Joyce, I think you and I are the only ones wanting to grow for personal use only! I only have one plant – I don’t think that’s going to provide me with much sweetener for my one cup of coffee daily…. what do you think? I just found out stevia existed today. Read through a few websites. One website was fueling fear. Seems that stevia causes reproductive problems, aspertame doesn’t? Stevia has been used In Japan since the early 70’s. This may be why most males In Japan are now sterile. You don’t know what to do about this, laugh or cry. Cancer! Yes, It causes cancer. Lol. Maybe Japan’s male population has died off. A Mr. Huxtable said we need to do more testing besides all the other bs he had to say so okay, who’s doing the testing? The creeps at the FDA want more tests done on stevia. WHEN CAN WE EXPECT TO SEE ANY TEST RESULTS CREEPS? Probably when all the Incompetent CREEPS are removed within the FDA. These creeps care not one bit about the US population. They work for the criminals who make the sugar substitutes which cause serious health problems. Since the people who consume stevia have no health problems as opposed to the “safe” Aspertame which has helped make the USA one of the sickest nations on earth, should give the answer If stevia Is safe to consume. I Intend on using It. Thank you for the space to post! Thank the sugar lobby for the “fear” perspective. I’ve been using this stuff for 10 years, just got my own plant this year, but I think 3 total is good for one household. Aspertame makes me sick as a dog. Headaches, dizziness, nausea, gas, vertigo, etc. Stevia has never done any such thing. The worst that can happen is that your drink will end up on the bitter side. Cancer, my behind. Like the stuff they produce isn’t full of cancer-causing chemicals. Tests show that stevia is a tonic for the pancreas. The sugar lobbies are just terrified that stevia will catch on with the general public. A natural, calorie free sweetener could drive their profits down. The FDA wants more tests done on stevia so’s they can put off anybody who wants to mass market it, advertising ALL the benefits. I’m sure that the sugar lobbies are paying handsomely for the FDA’s stalling tactics. Check out a book called “The Stevia Cookbook” by Ray Sahelian. Chock full of info and recipes. I live in Canada and was astonished to find small bedding plants of stevia for sale at the local Zellers garden centre. Is stevia an annual or a perennial and does it grow back each year like peppermint for instance? It is a perennial in its native climate, and some sources call it a hardy annual. That is why the article talks about preparing cuttings for the next season early. This plant has nice totipotency so its cuttings shouldn’t be to difficult to propagate. Do the leaves have to be dried before using them, or can you pick off a green leaf when you need a little sweetener in a drink? It’s better to dry the leaves…this is from personal experience. Dry the leaves, and grind to a powder. I’ve used them fresh, and it’s kind of messy. To get the most out of it fresh, you’ll need to grind up the leaves with a mortar and pestle, and I wouldn’t grind up more than you are going to use at the time…not sure how well it keeps. Stevia plants are available at Blocks in Romulus, MI and Tulip Tree Garden in Gregory , MI if you are in Michigan looking for a local place to buy starters. Where and at what cost, can I buy Stevia plants in Costa Rica? I have some stevia plants and live in Texas just north of Dallas. We have thunderstorms that have down pours of rain. Would I be able to plant my stevia plants outside? Or would having some shelter to keep rain off leaves be ok, leave them in the house? It usually dries pretty fast after a thunderstorm here and high humidity. I, too, live just north of Dallas in Lewisville. I purchased a Stevia plant this spring and put it in my garden. It is doing terrific, even in our record breaking summer heat! I did plant it so that it is in a raised area of my garden. This way any water would drain away without drowning the roots. Thanks for the your post. I live in the same USDA zone as Dallas, though in different country. I was a little worried about the summers here, but seems I will face no problems! I too found Stevia plants at Lowe’s in my town. They had small ones (6″) and large ones (12″). I live in Florida. I was thrilled to find Stevia plants at my local Walmart in Rutland, VT…$3.33 for a 5″ pot with 4 cuttings in the pot. It looks like it is becoming more available in more areas. For any of you living in the Boise area, you can find plants at Edward’s Nursery. I have my stevia in the house on the kitchen table…it’s doing just fine, and I live in the mountains. The night temps are around 40 degrees in the summer, and it’s been recommended to keep them inside below 57.